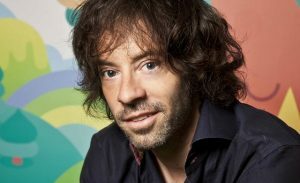 Meet Michael Acton Smith, co-founder and CEO of Calm. I’m the co-founder and co-CEO of Calm.com. I was the CEO/founder of Mind Candy and creator of Moshi Monsters. I moved to the Bay Area in January 2016. What are you business interests? All aspects of business: Investing, recruiting, strategy, product, marketing, and so on. What are the best and worst things about the Bay Area? BEST: The deep knowledge around tech and startups. The sunshine. The people. The nature. WORST: 8 hours time difference to friends and family back home. What do you miss about the UK the most? How can you help the GBx community? Hosting events, speaking at events and mentoring. How can the GBx community help you? Hosting great events and helping the Brits in town connect with each other. You can reach Michael on the GBx forum. &COPY;2016 GBx. ALL RIGHTS RESERVED. Web Desgin by SamBatesDesign.